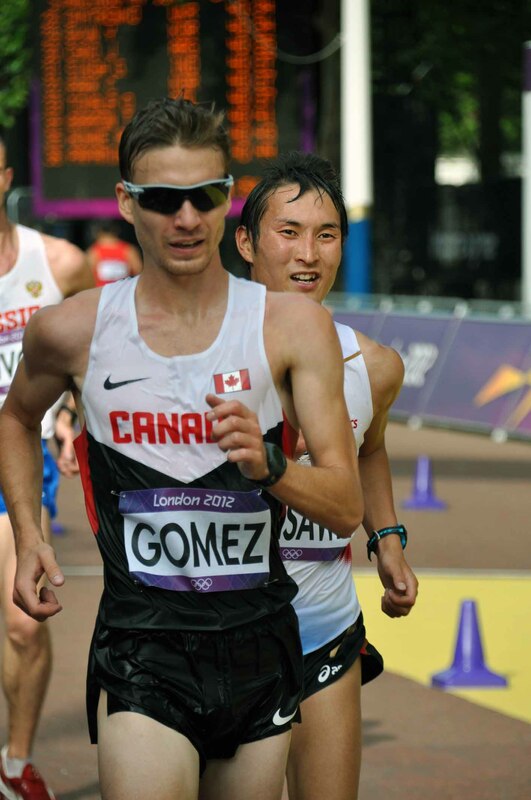 London, UK – Vancouver, B.C.’s Inaki Gomez finished 13th in the men’s 20-kilometre race walk final in a new Canadian record time of 1:20:58. Gomez continually worked his way back from the 28th position at the 8-kilometre split. By the 10-kilometre marker he was up to 18th, at the 12km split he had moved up to 16th, at the 18km split made it up to 14th and eventually finished 13th.